It only really occurred to me recently that I'm not much of a dress person. 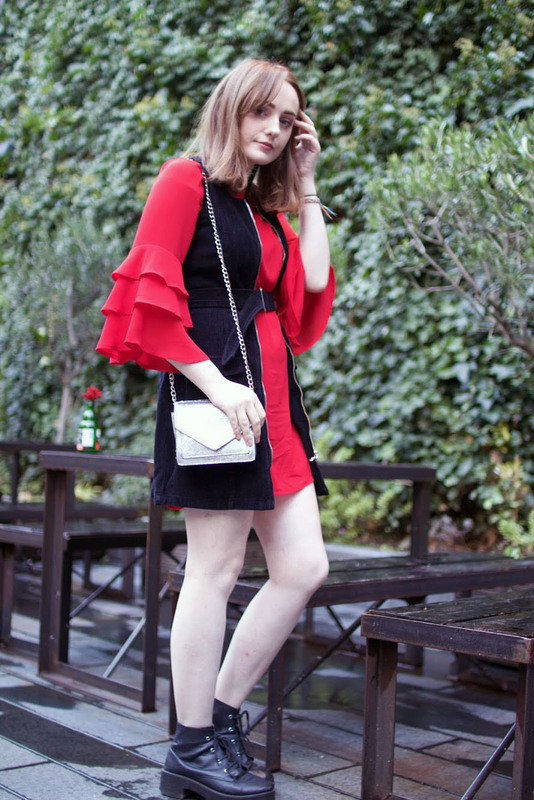 So when Boohoo got in touch offering me the chance to take part in their dress of the month campaign, I thought it would be a good idea to take on the challenge. I had no clue what was going to arrive in the post, but was a little relieved when I saw these frilled sleeves and my favourite colour. However, the loose-fitting shape isn't something I would usually go for, meaning I found this kind of hard to style at first. 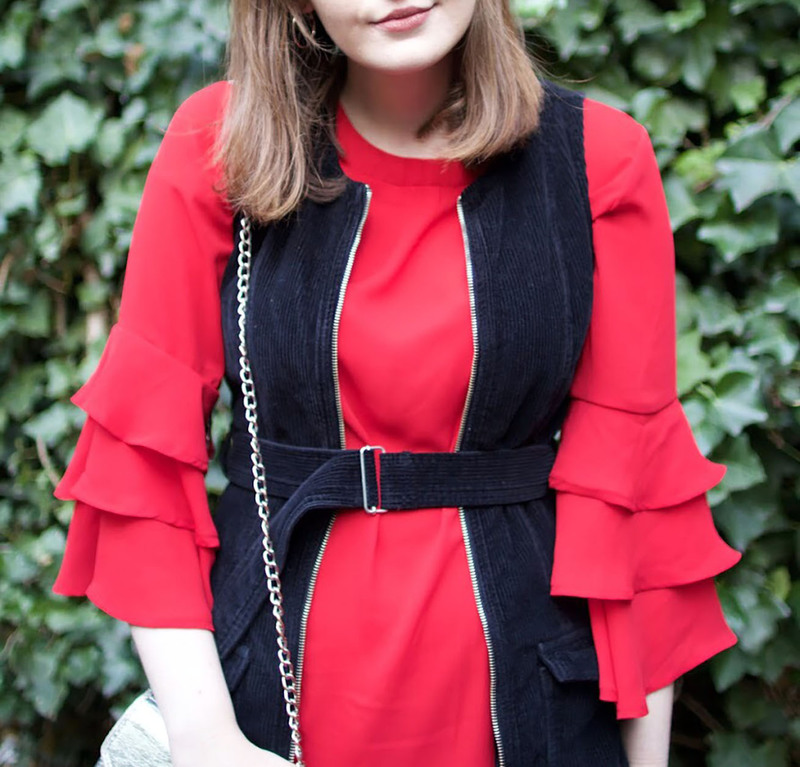 It would be so easy to whack on a pair of heeled boots and a jacket and make it a party season outfit, but I like a styling challenge every now and again.. Maybe I should try different dress types more often? I knew I wanted to style this Boohoo shift dress a little differently, and with the chilly weather layers were essential. I toyed with the idea of layering a jumper underneath, but sometimes your second idea is your best. It's the least obvious and sometimes the more creative. So what else should my extra layer be other than another dress? 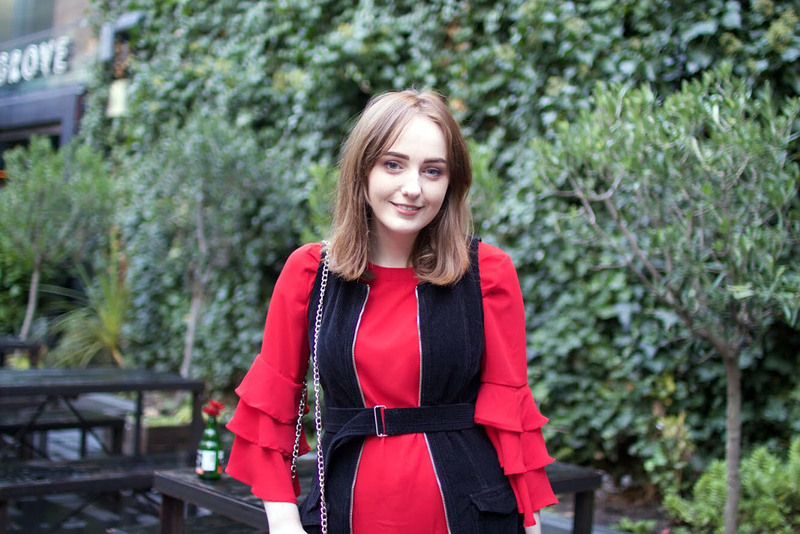 This cord zip dress is one of my favourite pieces in my wardrobe, and the black and red colour combination is right up my street. I could have worn this zipped up like I usually do but I didn't want to dull the brightness of this dress, so I wore it as a waistcoat of sorts. What do you think? I might do this again, maybe even over a jumper and jeans combo. Just look at these sleeves! The sass of them. I definitely feel like the dancer emoji in this red hot dress. 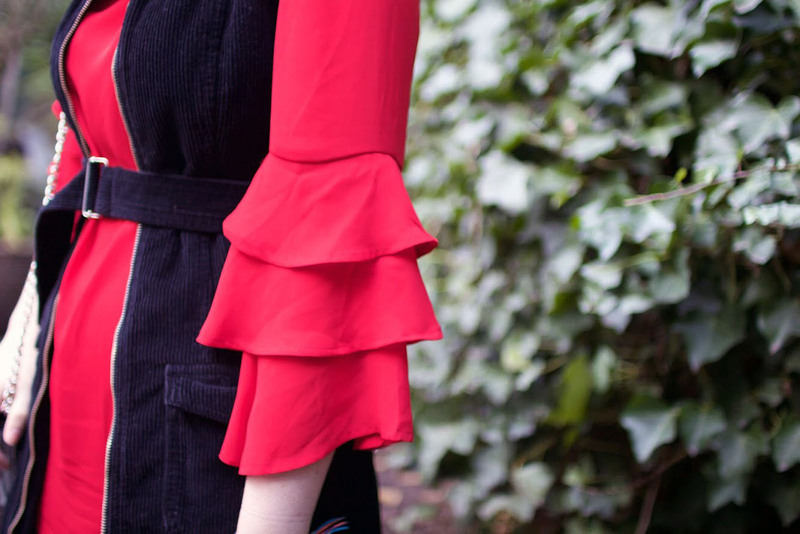 These flared sleeves are definitely the talking point here, so I'll be wearing this dress as a top soon, tucked into a pair of sassy flares for ultimate seventies vibes. You guys know I'm all about the seventies sass, like in my recent 70s style for autumn outfit post. I'm wondering though, how would you style this dress? Leave me some suggestions in the comments and take a look at some Boohoo dresses to take your pick. Want more style snaps? Follow me on Instagram. 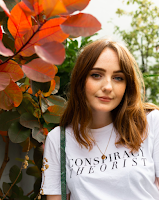 Special thank you to Abbie from Blush & Noise for taking these pictures for me, her style is amazing so make sure to check out her blog if you're not a fan already. Love how you've styled this with the dress on top too! That red Boohoo dress is very pretty, and you look fabulous wearing it! The idea of wearing the cord zip dress like a long vest or waistcoat is brilliant. 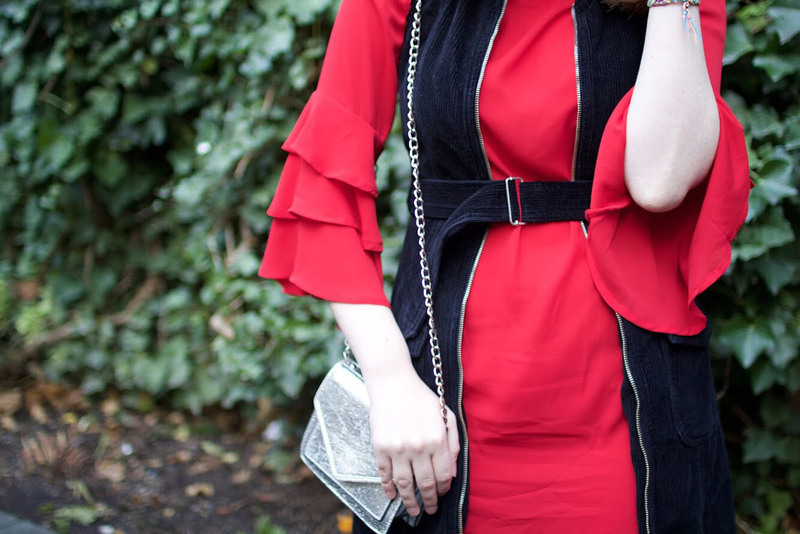 I love the tiered sleeves of the Boohoo dress, the rich red colour, and the contrast of the red and black. It's a very pretty look.